Let me start this one with a question. Once you finish reading an interesting article online, what is it that you do next? Look for another one? Re-read it to see if you have missed something? Or do you look for other articles written by the same author? Well, at least I do! Readers generally like to connect with the authors of posts they find interesting. However, many bloggers miss out on utilizing such essential elements of their blog. You should use the after-post area for getting more subscribers to the brand or your social profiles. Even Harsh recommends adding an author box. It helps in branding and embeds trust in readers. Including an author box in your blog posts makes sure that your visitors can find more information about the author on the same page. Contrary to popular belief, adding an author box after a post is very simple. If WordPress powers your website, there are some excellent plugins which let you add author widgets in just a few minutes. In today’s post, I will introduce you to five WordPress author box plugins. By using these plugins, you will be able to display author information, links to their social media profiles and recent articles. If you are looking for a fully responsive author box plugin for your website, Simple Author Box could be the one for you. This lightweight plugin will add an attractive author box at the end of your blog posts. The author box displays the author name, description, and links to various social media accounts. Once the plugin is activated, you can control its options from Settings > Simple Author Box page. While the plugin will display the author box in the posts by default, you can also place the box in other places by enabling the feature in the settings section. As the plugin lets you choose the font family, size and color, you can easily customize the author box to match your existing design. It is also possible to hide the author box if the author description is empty. Last but not least, the plugin supports RTL languages too. Meks Smart Author Widget is a simple plugin to display author info by using a custom widget. After installing the plugin, you will find a new widget titled ‘Meks Smart Author’ here: Appearance > Widgets page. Besides the regular options, the plugin also has an auto author detection feature. By using this feature, the widget will automatically display the author info from the profile. The plugin also lets you choose the avatar size, and display the author name and description. The plugin allows you to replace the widget title with the author’s name. You can also choose to display links to all posts by the author and link the author name and avatar. 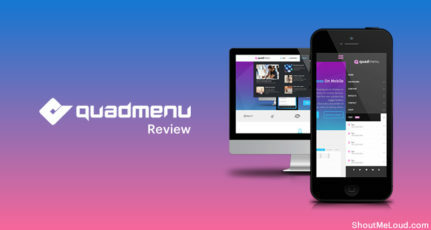 What more, you can also apply custom CSS styles to make the widget look more attractive! The Fanciest Author Box is the premium version of the Fancier Author Box by ThematoSoup, which is available in the WordPress plugin repository. The beginner-friendly plugin will automatically enable the author box for the posts, page and custom post types of your website. It is possible to place the author box in other places by using any of the three methods – widget, template tag, and shortcode. The retina-ready plugin lets you choose custom color schemes for the author box. With a smooth performance in mind, the plugin comes loaded with the lazy loading technology. Besides Co-Authors Plus and RSS feed support, the plugin also supports multiple custom widgets. 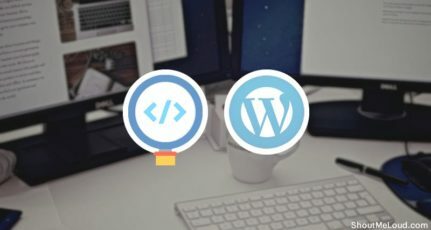 With a unique feature of creating unlimited tabs in the author box, WP – Author Box is another excellent author box plugin for WordPress. Besides the regular author boxes, the plugin also lets you show your top authors in the sidebar. The post count or view count could choose top authors. As the plugin is fully compatible with popular contact forms such as Contact Form 7 and Gravity Forms, you can easily create contact tabs in the author box. You can also choose to show the author avatar as a circular image. And if you want, you can hide the author box in specific posts and taxonomy pages. By using the custom CSS feature, you will be able to customize the look of the author box. If appropriately used, author boxes could become an excellent way of keeping your readers engaged. And after reading this post about the top WordPress author widget plugins, I hope you have a clearer idea about the available tools for that job. 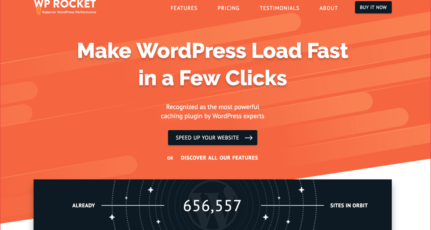 Do you use any of these WordPress plugins on your website? If yes, please share your experience with us by leaving a comment below. And if you are still thinking about adding such a feature, let me know which plugin looks the most useful to you. It is amazing collection. One of my fav right time, which I use on my blog is Fancier Authox Box Plugin. It’s simply look great. But, it is not responsive or added small icons with CSS Sprite. Btw, I’m looking for a Author Plugin, which can look more professional. I am also looking for any new author plugins, that will stand out from other sites. Hey I want to know i am using ENGINE theme this theme provide me default author box functionality . but i am not put any information in author box. i want to know author information will effect on website or not .. ?? If any effect then explain how effects are occur . Very helpful and handy post. Just yesterday I asked the support desk of teslathemes for a quote on installion of author box feature on my new blog. I didnt know about this plugins. I will definetely go for WP SIMPLE PLUGIN (#2) for its responsiveness and simplicity and for its flexibility on choosing font family size colour.etc. I will.save at least 20 bucks of coding work. Thanks for sharing the WordPress author widget plugins. I like Meks Smart Author Widget. All plugins are awesome but from my point if view number 3 is just awesome, Because of its simplicity. Thanks for sharing nice collection. I am using Simple Author Box looks great and thanks for such a great articles. Thanks fro introduce these awesome plugins. In my case, I like simple author profile widget!! Very Useful and informative. I was looking for a cool author box plugin, but I wasn’t sure which one was the right for me. I love this all author boxes. I was trying to show my Gravatar profile pic, I changed there but there is not showing. Is these author boxes works with Gravatar. Please reply. Thanks for the post. I want a simple and fast plugin. I dont even want social media icons. Right now i have installed Fancier Author Box which seems to slow down page loading. Can you suggest a fast plugin? Thanks for including WP Author Box. The best on the lists specially the custom tabs and contact forms. And looks professional and neat than mosts. Looks great in mobile! Thanks! Unable to show my image on author box, any idea? Hey Bro Use Gravatar for it. And Do a simply Sign up/Sign in. I use Molongui Authorship in my websites. After installing many other plugins, I found it to be far more customizable than any other plugin out there. Another feature of it i really like is the option to authorize a post to a guest author. I was looking for a plugin like “Starbox – the Author Box for Humans” I searched several times in wordpress plugin area with the keywords: “Post Author” and “Display Author”. But I couldn’t find the one for whom I was looking for. But When I googled then I saw your post and now I’m using “Starbox – the Author Box for Humans” plugin. Unfortunately, Starbox was moved from the WordPress plugin repository in October. It was just what I needed but it has not returned.